This is a decent granola cereal. The flavor is pretty straight-forward: sweetened, toasted oats with a hint of vanilla. The box indicates that it is also flavored with a touch of honey. Buyers should be aware that it's also flavored with 9 grams of sugar per serving - not a horrible amount, but a little surprising for a cereal touting itself as low fat. My favorite aspect of this cereal was the clusters - the oats, rice and bran that stick together to form crunchy little clumps. A lot of cereals that contain cluster pieces disappoint. 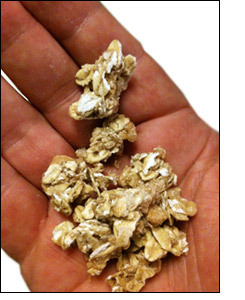 After transportation and handling at the grocery store, it's not uncommon for clusters to bust apart or un-cluster. That wasn't the case with Special K Granola. If you reach inside the box for a dry handful, you'll see that the cluster to un-clusered ratio is impressive. Another thing I really liked was the price. 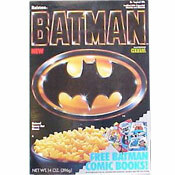 At my neighborhood grocery store, this cereal was $2.99 for a 19.5 ounce box. 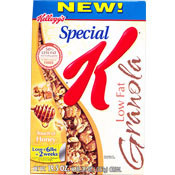 Compared to the boutique granolas further down the aisle, Special K Granola was an excellent buy. My only complaint might be that this cereal is a tinge too sweet and that sweetness tastes more like sugar than the honey they're promoting on the box. Overall, this is a good standard granola cereal with no surprises. You get what you expect. If the price is as reasonable at your grocery store, I recommend giving this one a try. Nutritional Considerations: Each 3/4 cup serving has 190 calories, 3 grams of total fat (0.5 grams saturated and 0 grams trans), 0 mg cholesterol, 120 mg sodium, 39 grams total carbs with 5 grams of dietary fiber, 9 grams of sugars and 6 grams protein. What do you think of Special K Granola? Love this granola! Not too sugary but very filling with great flavor! Low fat doesn't always mean low calorie. It can have no fat, but a ton of sugar, and they can call it no fat. I don't get how this is low fat when it has more caleries then most cereals, 190 compared to 160 on average, and the same sugar content as most cereals, 9 grams. ave. 6-11. I agree, it is sweeter than I really like.